I’m one of Wheels for Wellbeing’s qualified cycling instructors. I help match people up to the cycles that will best suit them, and make sure that our sessions are run safely and smoothly. 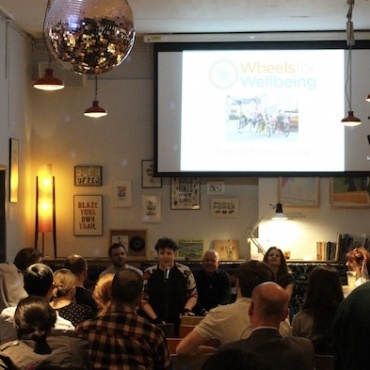 I really enjoy working for Wheels for Wellbeing! When I get home, I always think that it’s been a really worthwhile day. 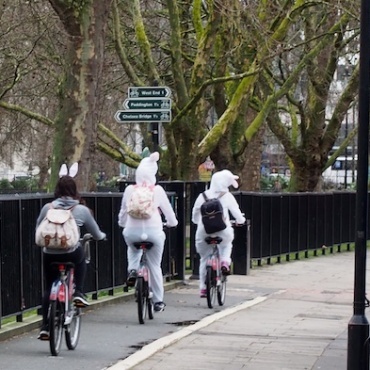 I not only see us as helpers – we’re providers and enablers, enabling people to cycle and be active. It’s about all our customers being able to enjoy life more! 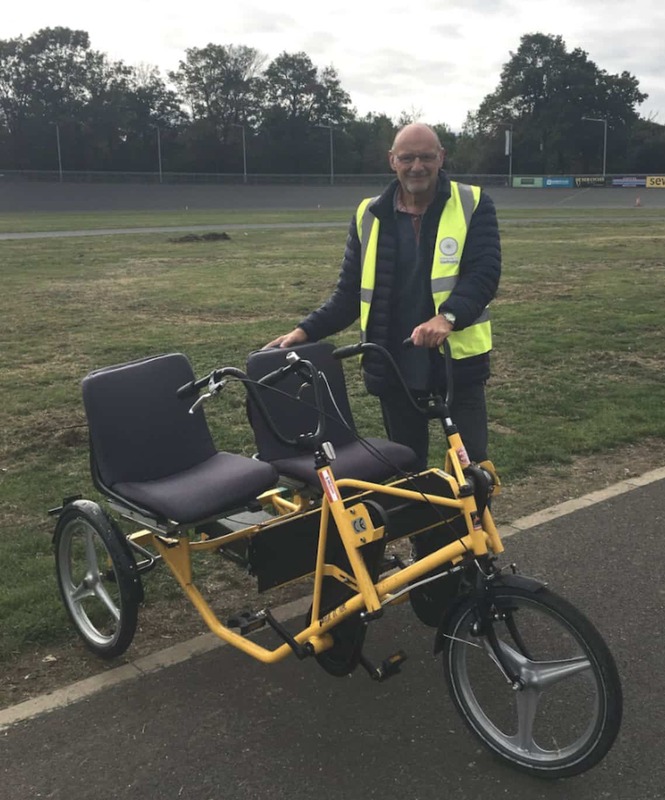 I love the fact that even after just one session with Wheels for Wellbeing, many participants say that they can feel an improvement, and that people with all sorts of different impairments can enjoy themselves in a safe environment. I’ve particularly enjoyed working with people who have bad, arthritic knees. These tend to stiffen up if not exercised regularly, and you have to get them moving. 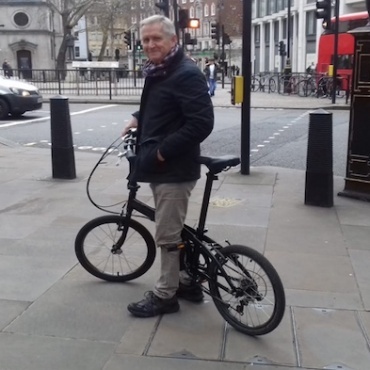 Walking and running can be damaging or painful for people with arthritic knees due to the level of impact, but cycling is a non-impact activity. This makes it ideal for these people, allowing them to stabilise and strengthen their knees and keep them active. I’ve seen great improvements in these participants, and I really enjoy helping them to cycle in a good cycling position by adjusting their saddle and pedals. This minimises any potential strain on their knees. I think that my own injuries make me more able to understand and want to help other people. I’ve always had a heart for people with Disability. I grew up with Disabled and deaf friends, and I always feel that they should have as much of an opportunity as everyone else.